I'm not a bloke and I don't need short back and sides, however, I couldn't resist doing a double-take as I walked past Boston Barbers. 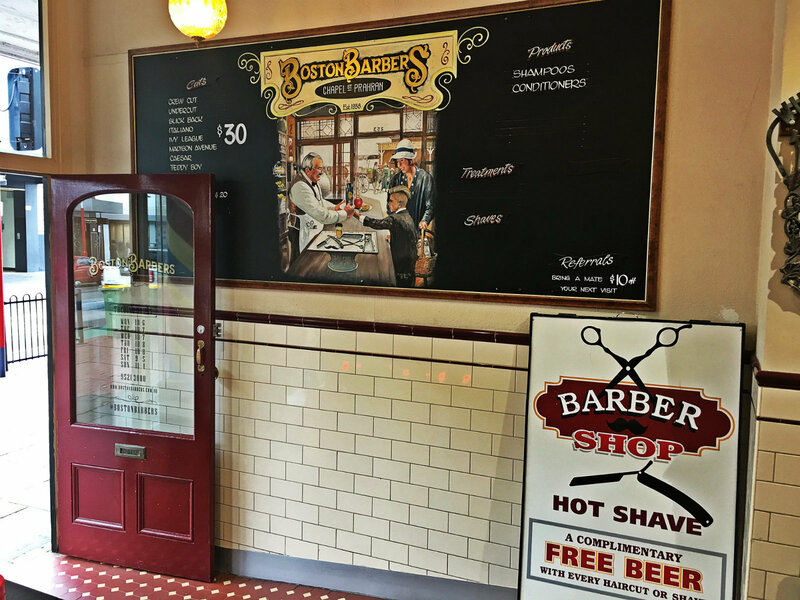 The decor is enchanting and nostalgic; set up to look like an old-fashioned 1950's American barbershop. A reminder of simpler times when life moved at a slower pace, and perhaps that's exactly what Boston Barbers hope to convey. 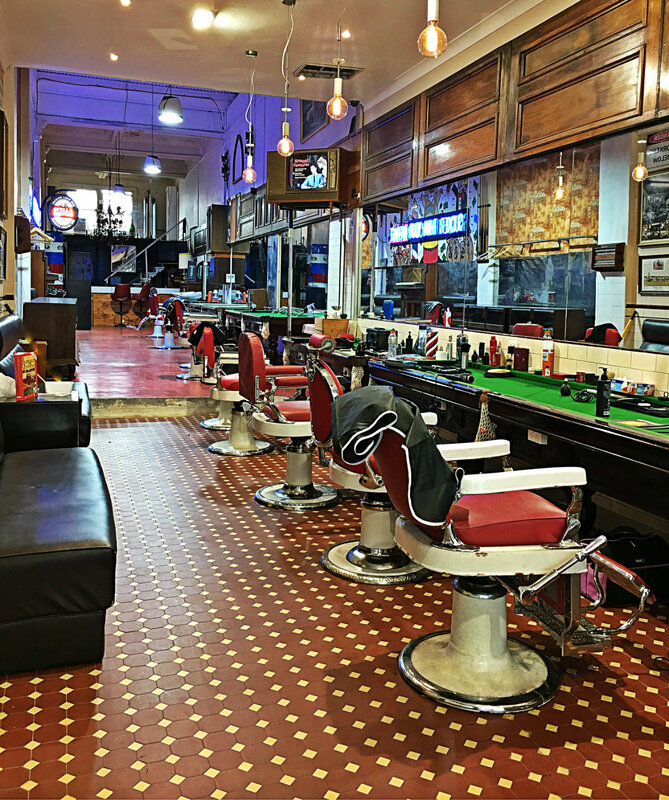 Just come in, pop yourself down on one of those gorgeous seats, and relax as you leave your hair in the hands of the professionals, and let time melt away. Take a mate and feel even better as it'll take $10 off your next visit. Operating hours are 10-6 on Mon, 10-7 Tue & Wed, 10-8 Thur & Fri, 9-5 Sat & 11-4 on Sunday. 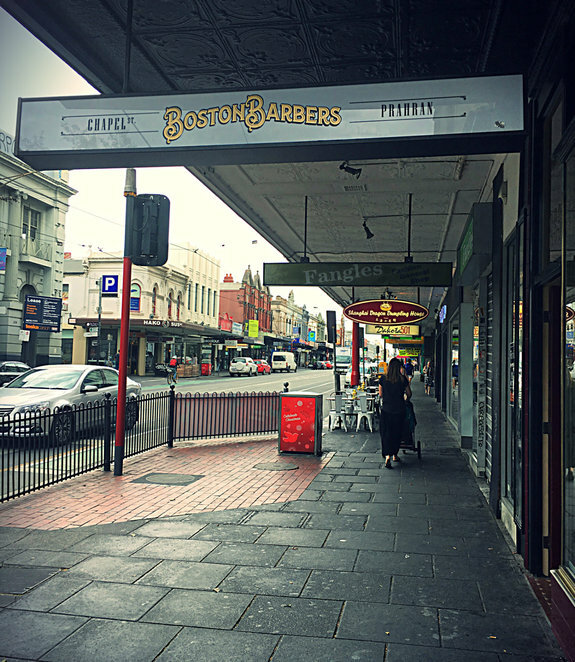 Open 7 days a week, it's currently the largest barbershop in Melbourne. 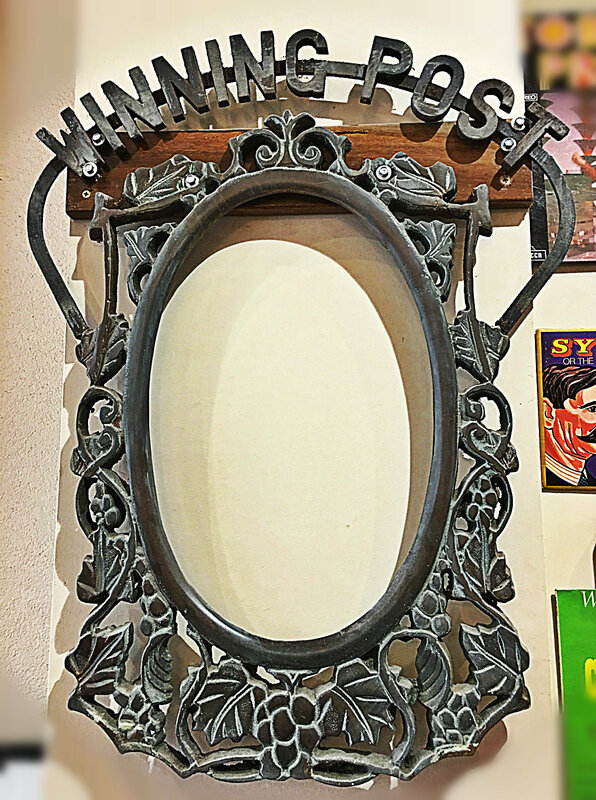 Created for the everyday person, you can enjoy the decor of mahogany panelling, American memorabilia, high ceilings and chandeliers, while you get some old fashioned authentic barbershop services at old-fashioned prices. That's not all you'll get at the BB. It's still evolving and will be accommodating women's haircuts as well. Boasting a private bar; a retreat for clients to relax and enjoy a complimentary cold beer from the tap or a high-end whiskey from the top shelf, there's going to be additions that'll be entertaining and make you feel right at home. 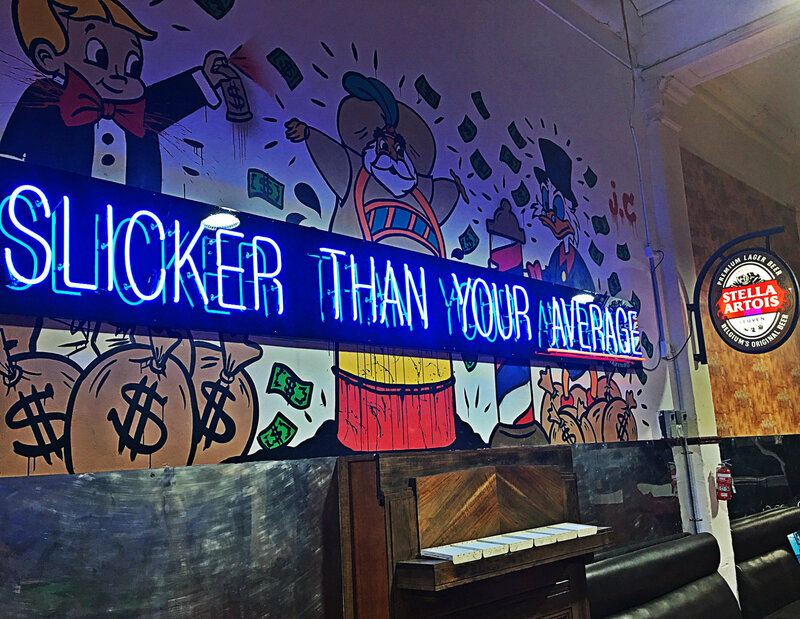 Sporting a huge neon sign saying 'Slicker Than Your Average', owner Aggi likes to think of his establishment as a men's hairdresser too. 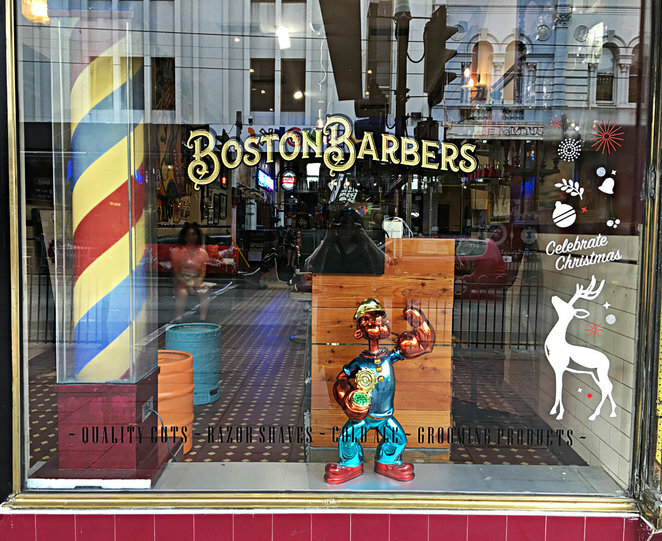 Catering to all types of cuts including Crew Cuts, Undercuts, Slick Backs, Italiano cuts, Ivy League cuts, Hipster cuts, Afro cuts and Clipper Cuts, they also do cut throats! Aggie apprenticed with his father and went 50/50 at their Camberwell salon before branching out on his own. A young man though he may be, he knew he needed a stand-out environment to be a cut above the rest on the popular Chapel street. The old school environment certainly makes the cut and the location is in close proximity of the surrounding burbs of South Yarra and Windsor. 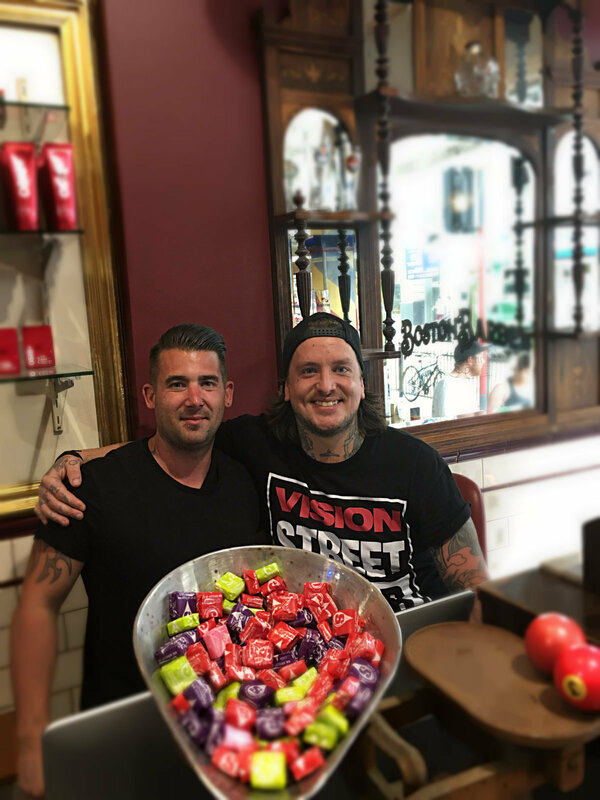 Pop around and put yourself in the friendly welcoming hands of Manager Paul and Treda the barber (pictured above) who happened to be there on the day I walked in. Follow them on Facebook to stay abreast of what's happening and for updated information about public holiday operating hours. The pic on their FB page gives you ideas about having a bonding time with your bros in a different way. 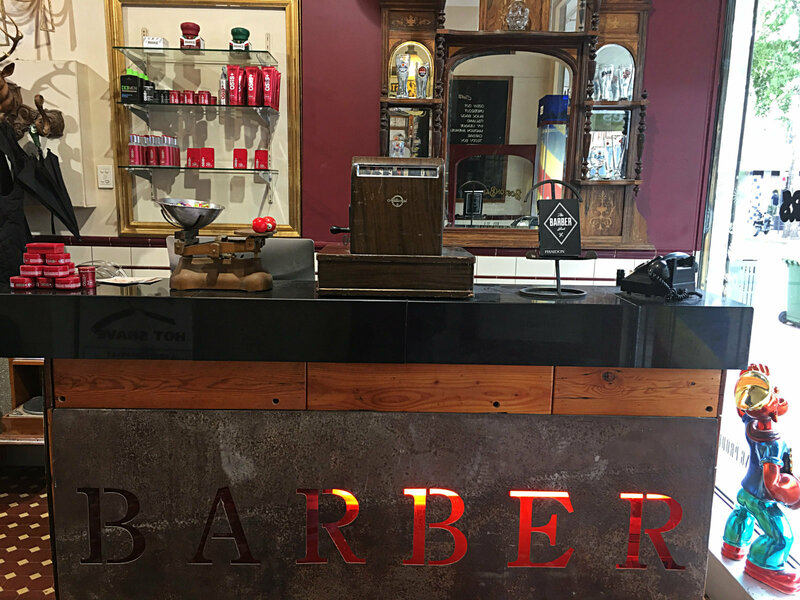 An 'occasion' trip to the barbers with your mates, your groomsmen or your work colleagues may just be on the cards for you, for something a little different and fun to do. Boston Barbers is the way to do it, as they're more than just a barber shop, on the ready to provide you with a friendly, professional service.